Do you think making a great e-commerce online store is enough to get found by your online customers? Ecommerce SEO tips have become more important today, with the growing competition to get found in search engines. I recently had a not so good experience searching for a particular product online. Actually, I wanted to buy a gift for my best friend that I couldn’t find in local stores on his birthday, so I tried to find that on some of the well-known online stores. But guess what! With the sheer number of the e-commerce website, I was completely surprised when I couldn’t even find it online. And even worse when I was unable to find the exact product I wanted in Google SERP’s! But this one instance forced me to think about, how many other people searching for products end up empty-handed? Being SEO professional, it reminded me the importance of SEO for e-commerce sites. And how e-commerce SEO can make or break your online store success. 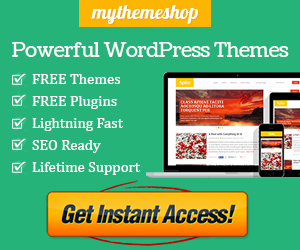 How do you sell your products in an e-commerce store? It is an important question that you often come across. In a nutshell, it’s the SEO or search engine optimization process that can help your store to rank higher than your competitors in the search engine searches and thus generate more traffic to your store. More traffic means more potential customers are visiting your online store that will help in generating better business. Therefore, a well-planned SEO strategy for e-commerce websites is very important for any online store to do good business. Struggling for Sales? Find New Customers Today! Digital marketing services proving a real gem in helping e-commerce website getting found easily are SEO & Search, Build a database, PPC optimization, remarketing and social media marketing to understand your customers. Accessibility and systematic CTA improves shopping ability at your sites and nothing could be more effective then SEO friendly website design and development of commerce stores. 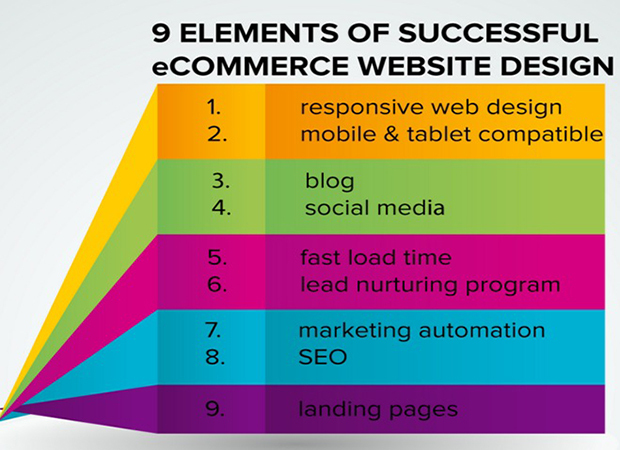 Below are nine elements of successful eCommerce website design. Great user experience (UX), Quick page load time, highly optimized images, easy to use payment options, secure checkout process, regularly updated sites, personalization and online chat help you be authentic, accountable, and can derive more positive reviews, of course, great products. There have been some common ECommerce SEO mistakes that are identified in online stores that are not generating the desired business. There is often a lack of proper product description of the products that are on sale. Often the descriptions used are the ones offered by the manufacturers who generally talks about product specifications. Such descriptions are not that appealing to a potential customer, and they do not a have proper idea why they need it. Also, most online products lack product reviews which again are not at all helpful as the customer has no idea about the quality of the product. Moreover often similar products have the same title or there is duplicate content that makes the pages un-optimized pages. Again, most online stores do not focus on creating a niche user-experience and usability that is in attracting customers to their website. The whole Ecommerce SEO process is about building flawless strategies that will ensure business. 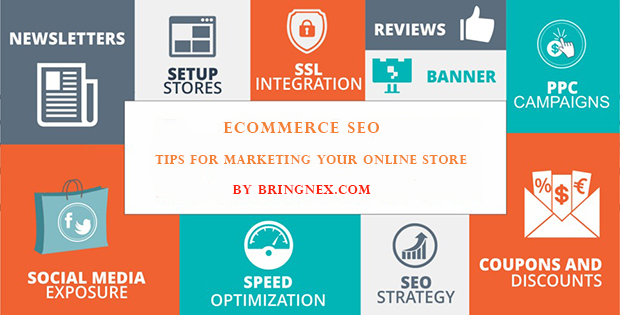 To build, a good SEO strategy for your online store, there are some specific rules or areas that you need to work on. Research is the key to any SEO strategy; it can make or break your online store. Make sure to have a detailed keyword research done for your products. Keywords are the terms that an average customer is using to search a particular product over the internet that is also available on yours or your competitors’ online store. Therefore, with proper keyword usage, potential buyers can be channelized to your website over your competitor. Therefore to stand out in the competition, the first step for any online store is to analyze their website and identify the current problems and also determine the website speed. 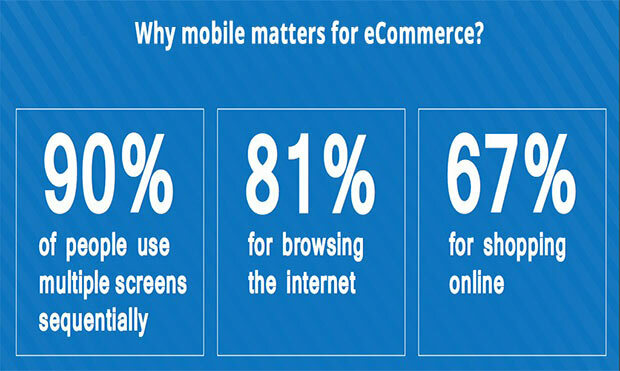 It is an essential part of the eCommerce SEO process of your website. Once the problems are identified it’s easier to work on the optimization process of the website. For better optimization you need to optimize your keywords through unique rich contents on the website. Posting articles and blogs related to the keywords on different websites also helps in the optimization process. Invest time in building and marketing quality content for effective database building for enhancing your reach. Another important aspect of the optimization is the link building process through blogs and article posting. You should also pay attention to your website design and structure to ensure it’s user-friendly and make it dynamic. Make sure that you have latest versions of your website one for online users and other for your mobile customers as a bulk of your customers searching you over their smartphones. Include rich snippets in the form or pictures and videos for your products. Often a website suffers due to lack of customer reviews and ratings, so ensure proper reviews and rating for your products. Be regular on social media platforms by posting regular updates, answering customers and interacting influences. 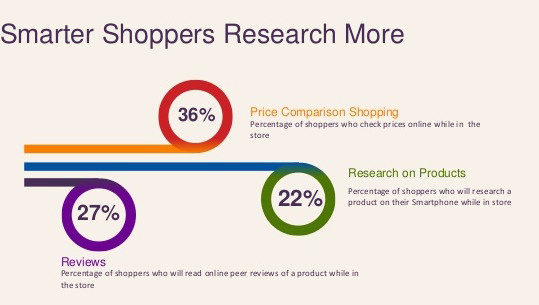 Nowadays shoppers are smart enough and they often research before actually buying anything. So, help them with product and cost comparison, research for products and reviews. B2B and B2C buyers are always looking for details. And engaging content is the most trusted way to do so. The increase in the number of online stores is one of the top challenges for marketers and business owners. Customer data analysis through algorithms can prove remarkable in thrashing your completion. Offer consumers the ability to buy higher end, designer products for discounts of up to 80 percent for a few days. No one likes to wait or receive damage shipments for their choose product, highlight your shipping USP. The impact of this trend can be understood by Amazon’s and result in trying drone for shipping orders quickly. To ensure your online e-commerce store is properly optimized there are many eCommerce SEO tools or applications that you can use. Some of the best SEO tools are Moz Keyword Tool, Open Site Explorer, Screaming Frog, Google AdWords Keyword Planner, Citation Labs Broken Link Finder, and Buffer. Happy Selling! Don’t forget to share your thoughts and questions. Azad Brijesh is a certified Google Analytics, Adwords and Tag Manager professional. He believes in learning, understanding and implementing methodology. And loves to teach what is has learned to Bloggers, SEO professionals and internet marketers helping them achieve their goals. peer a nice weblog like this one today.